The Best Makeup Foundation for Your Unique Skin Requirements? Because your foundation has to factor in three other properties besides color. These are the type of foundation, your skin type, and your skin's undertone. The best makeup foundation. What Is The Best Type Of Foundation For You? Foundation choices range from liquid, to powder form. You need to find a foundation that caters to more than just the look. For this the formulations are specialized, but are in similar forms to regular make up. For example, if you need to cover up a tattoo, you can use regular long wearing makeup, or one customized for tattoo coverage. Yet factors like undertone, and skin tone matches still apply. Liquid foundations that include spray and airbrush foundation, go on very lightly. The make up goes on sheer and is great if you don't need much coverage, whether its because you use a good concealer or have relatively unblemished skin. 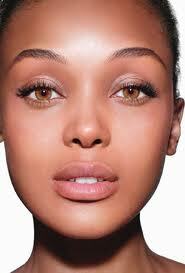 Other lightweight liquid formulations are cc cream, bb cream and tinted moisturizer. They go on the lightest and are useful for a quick natural look. Airbrush foundation is a bit different to regular makeup. This is because of the tools and techniques you will have to use. Then regular liquid foundation ranges in coverage. Some may be thicker than others. So you have to test them out to see whether they meet your need for cover! Cream foundation is more... erm... creamy :) than others, and gives all over coverage. A lot of them are smudge proof, and last longer on your skin than other formulas. Mousse foundations are light and have an airy consistency to them. They give a very natural look when blended well. Compact foundation is good for touchups, and results in a matte, all over cover. Powder Foundation, including mineral makeup foundation also leaves you with a matte finish and works best for oily skin. You might also be looking for makeup that also complements your ethical codes, like all natural or organic makeup. Now that you've gotten familiar with the types of formulas available, you'll need to assess which one will prove to be the best makeup foundation for your skin type. I have combination skin, which means that after an hour with regular makeup(especially in the summer), my forehead and nose were good to grease an entire baking tray... Switching to a oil free, water based formulation was a convenient overnight fix. Only then did I start following a gentle, oil controlling skincare routine, with comfortable skin being the result. Skin conditions range from oily to dry. A lot of us are inbetween, or zigzagging between extreme and mild stages of one skin type. This depends on our climate and hormones. Taking a little time to find the best makeup foundation to match your skin type will save you a ton of frustration! The great thing about oily skin is that it stays younger and baby bum supple for longer... The downside though, is that it's often shiny and tends to be acne prone. The foundation for this type of skin should be oil free. This is the case whether you go for a water based liquid foundation, or powder. It should also have some ingredients that can help control that extra oil production. Which is great because you dont want the makeup that overly dries the parts of your skin that aren't oily (like cheeks). Words like salicylic acid, beta hydroxy acid, and benzoyl peroxide mean that this is the good for clearing out gunk and oil(sounds so industrial:)). These soldiers of the oil busting revolution are probably already a part of your skincare regimen, if you're already following a proper oily skin treatment. You can also go for formulations with silica or kaolin clay because they absorb the oil in your skin. BEST MAKEUP FOUNDATIONTIP FOR OILY SKIN: Hold off on piling on the powder for touchups. Rather opt for medicated pads or slightly powdered blotting pads to absorb the excess oil. If your skin is oily in some places, and dry in some, it can be difficult for you to find the right solution. The best option would be a water based liquid formulation to treat the oily area of the T zone. Find one for oily/combination skin. Make sure to moisturise the dry areas well before application. Set the liquid foundation with a powder over oily areas if needed, and use blotting pads for touchups. The most important factor to treat would be the oiliness, while treating dry areas with skincare basics for dry skin like moisturiser. The other options for combination skin are cream to powder formulations, hydrating powder foundation, and mineral makeup also with hydrating ingredients. These provide a small amount of moisture for dry areas, while still providing oil sapping properties. When skin is dry, it tends to look dull and flaky. Lifeless. It's also prone to uneven pigmentation. To put the bounce back into it beyond using moisturising skincare, your makeup must have moisturising, and radiance boosting properties. Try looking for something that won't clog your pores. Non comedogenic is the big, scientific sounding word :p! This means that the oils and other ingredients in the makeup aren't supposed to cause pimples, while still nourishing your skin. To help combat the dryness, tinted moisturiser can be a good solution for those without discolouration. Ingredients like hyaluronic acid, olive oil, and glycerine are moisture boosters. For treating discolouration, look for vitamin C, arbutin, kijic and azelaic acid. Don't forget the suncreen for everyone! This includes those with darker chocolate skin like Black, Asian, and Indian women. When skin ages, wrinkles and age spots are the main problems that come up. The skin also retains less moisture and produces less collagen. As a result, it becomes less elastic. So the best makeup foundation for these problems is usually in liquid and cream forms. They contain wrinkle smoothers , antioxidants, moisturisers and boosters for elasticity and radiance. Look for words like retinol, and peptides that encourage collagen production for softer wrinkles. Antioxidants like vitamin C and E can stop free radicals from breaking down precious collagen. Then again, sunscreen is important for preventing sun damage. This is problematic skin when searching for any product! Try mineral foundation because a real one will have the least amount of irritating ingredients. Although skin tone can be ellusive, knowledge about yours can be the difference between looking radiant, or just- orange. It's the reason why some colours look better on you than others. Or why some lipstick colours make your teeth look brighter, while another form makes them look yellow. The interaction between surface colour and undertones determines the overall result of your efforts. Once you've pin pointed this X-factor, you'll be able to complement your skin and end up with a natural looking finish. Here's how to go about finding a matching foundation for your skin tone. Very Dark Skin as is the case with a lot of women from most African countries, will do best with a yellow undertone. A blue undertone is also workable if you have ashy skin as it brings your skin vibrancy. Medium Dark Skin works well with brick undertones. Some, such as for a lot of medium dark Indian ladies, have a greenish tone to them. This can be balanced with peach undertone foundation. Light Dark Skin is that of caramel coloured girls. Yellow and golden bases tend to be the best foundation make up to enhance it's radiance. Medium Skin like that of Eva Mendes also does well with yellow and golden based foundation. With your appropriate foundation properties in mind, head on to the makeup counters with clean skin and test 'em out! Using the whole cheek, test out the two or three foundations closest to your colour, and pick out the one that just looks like you didn't apply it. Now that you've found your second skin, use the most effective method to apply your best makeup foundation.